From the menu at Los Andes Restaurant in Houston, Texas. The dish was created by my father, a regular there. 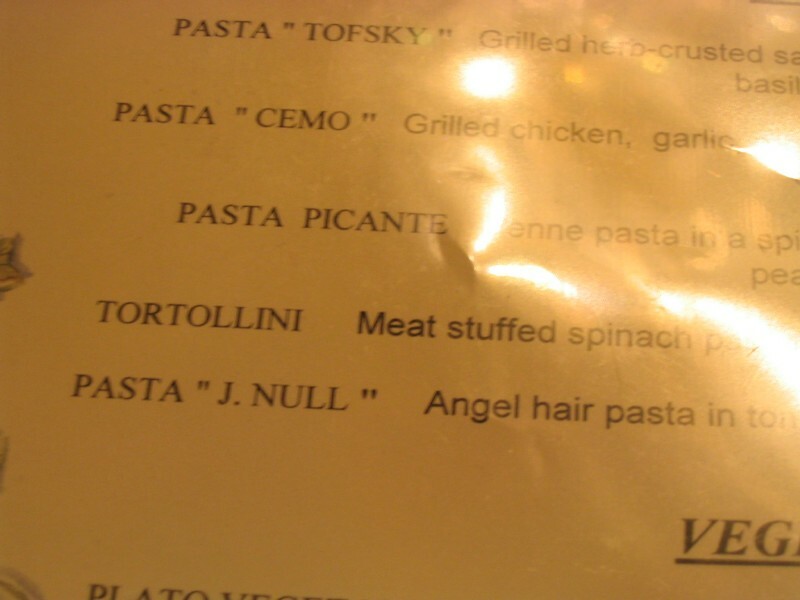 Having something on a menu named after me… now that goes on the “to do before I die” list!